1. Your website is well organized, and the online reviews mean that I always know what I'm getting. 2. Your amazing prices make my heart flutter! 3. 'Club O' membership allows me to get an extra 5% off plus free shipping with every order, which almost puts me into cardiac arrest from the excitement! 4. The coupon page on your site ensures that customers practically never have to pay full price, even if they are not a member. What company does that? 5. The speed at which my items ship leaves me flushed with happiness. Like this Saturday when I ordered a rug for my art room at 11am, and it shipped at 1am Sunday! Who ships things in the middle of the night on a Sunday? You do! 6. 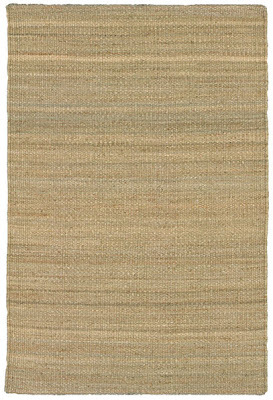 The quality of your items has the ability to inspire love letters....and I can't wait to get my (8' square) jute rug on Wednesday! ps - I will post the reveal of the art room after the rug arrives this week. We love the way it turned out! I enjoy overstock when there are specific items that I can't find anywhere else. And free or cheap shipping is great... BUT, I don't really think their prices are all that great. I mean, I have found items on there and then googled the same item to find out that it's only $5 more at a store locally. And I guess I don't mind paying the extra $5 when I can get it myself. I guess I find it slightly overrated... Perhaps I'm missing something? Overstock.com is great! I have gotten several things from them. I have to agree with you on all the reasons! Love overstock. They have a seemingly endless array of everything, plus their customer service was great when we ran into a problem. Emily, I totally agree with you about buying local. I always check local stores first, and only order online if I can't find what I need. Overstock does have a Price Guarantee for other online retailers, too. If I find the same thing on Amazon for less after I buy it, they will refund the difference. As for my love affair with Overstock, I've found that the quality of the items I've purchased there were as good as items from Restoration Hardware, Pottery Barn, etc. Especially my bedroom chandy ($130) that was made entirely of real crystal, and the glass double shelves in my bathroom ($79) that were more than double the price at RH for a similar quality. I appreciate getting these items for less, and still having the great customer service that you would expect at a high-end store. I am in love too, but we did have a lover's spat recently. Apparently their sizes are only "approximate" (wtf?) and so the 10' runner I ordered for my 10'2" hallway showed up at my house in its 10'3" long glory. Fail. Oh, no! What is it with manufacturers of rugs and curtains? They are NEVER the exact size. I have purchased curtain panel sets from BB&B, JCPenney, Pottery Barn, etc...they are never the same length! And the PB rug I have in my dressing room is not exactly 8x10, either. I don't think it's 3 inches off, though. I hope they took it back ok! how the heck did I not know about the COUPON PAGE?!?!? I love that shipping is never more than $2.95. Yay Overstock! Can I tell you an embarrassing secret? I'm an Overstock virgin. I've never ordered from there, but I've been scoping out several items and hoping to be 'experienced' soon. Thanks for this post! I didn't know about the coupon page! I didn't know about the coupon page either! What happens if, like E, something shows up and you hate it? Do you have to pay return shipping? That's the thing that has kept me from ordering from them yet. If I order a rug and hate it, do I have to pay $200 to have it shipped back? Scary. I actually have never bought anything from Overstock, surprisingly enough! I always forget to look there. Can't wait to see your art room! I have no doubt it looks amazing. Overstock is awesome....it is amazing what random stuff you can find there for good prices. And you cannot beat the shipping. I have a psychological issue with paying high shipping for some weird reason.